Five years ago, I accidentally discovered that multi-steps convert really well. I had just launched an online calculator for measuring ‘comfort zones’ called (unoriginally) WhatIsMyComfortZone.com. The tool had a multi-step form that converted 53% of site visitors into ‘leads’, despite asking a lot of questions (including email, name, phone number and salary). 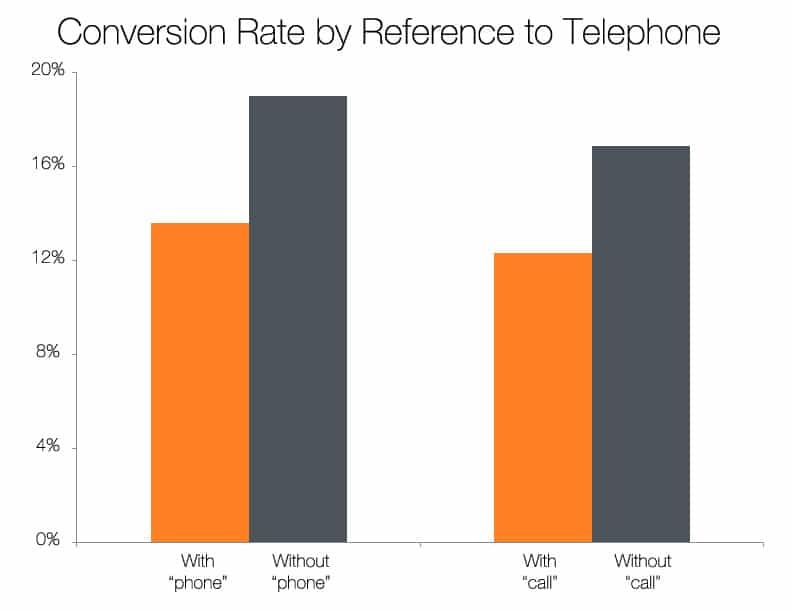 When we tested asking all of the questions on one page (like most lead generation and contact forms do) the conversion rate plummeted. It made no sense as, after all, we were still asking the same questions. When should you use multi-step forms? Over the past five years, I’ve tested multi-step forms across a lot of industries and site types. For lead generation specifically, I’ve yet to see a traditional one-step form that converts better than a multi-step version with the same questions. When we changed the consulting enquiry form on this site from a basic WordPress contact form to a multi-step Leadformly form, our conversion rate went from 0.96% to 8.1% (a 743% increase in leads!). When we started using a multi-step ‘tool-like’ form on BrokerNotes, a B2C financial lead gen site, our conversion rate increased from 11% to 46%. An astro-turf company A/B tested a one step form vs a multi-step form and saw a 214% uplift in leads. 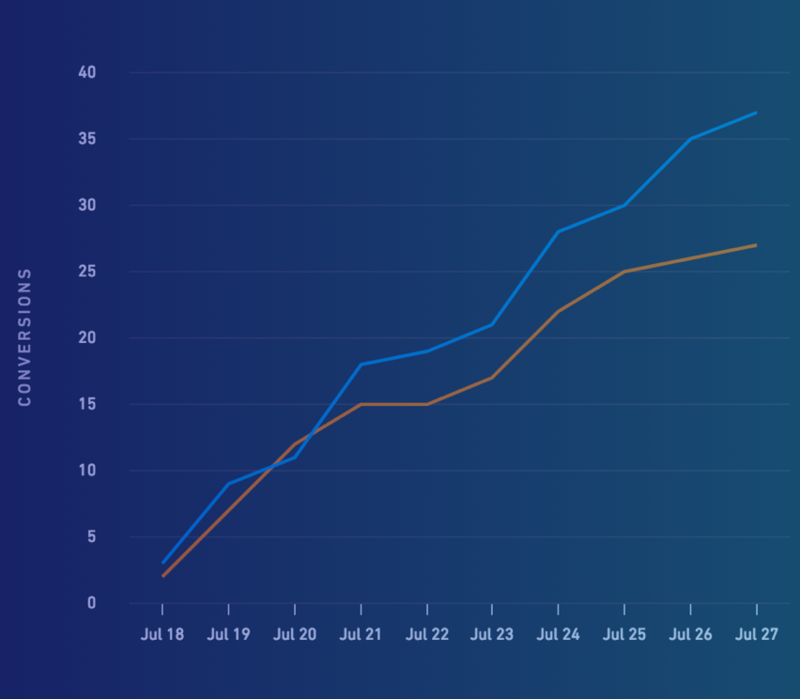 Vendio, a website building tool, ran a similar test that resulted in a 59% increase in leads. Tinkoff bank also saw an increase in credit card applications using a multi-step form. So, why do multi-step forms convert so well? It may seem counter-intuitive that adding more steps to a form would increase results. The common wisdom in conversion optimisation is that less is more, particularly when it comes to forms. The beauty of multi-step forms is that you can start your form with a low-friction question that engages potential leads. Typically, I recommend starting a multi-step form with a question like ‘what’s your goal?’. 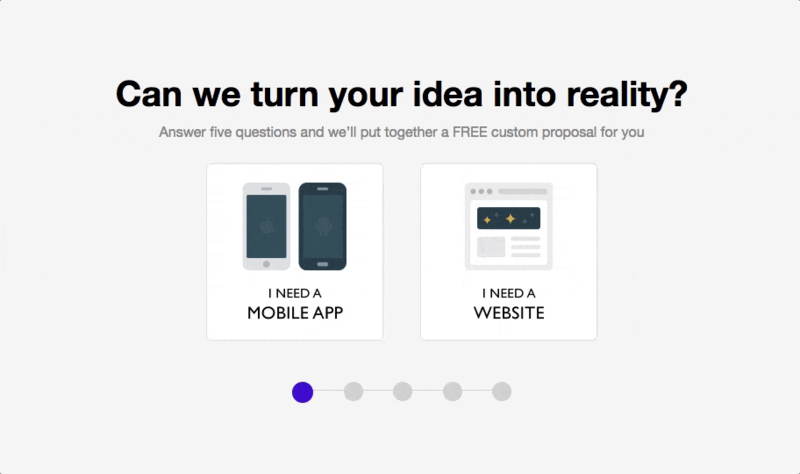 Not only is it a low friction question, it also puts your potential leads in the frame of mind where they’re thinking about the benefit of your product / service. According to the ‘endowed progress effect’, which is a proven bias around how the human brain makes decisions, we’re more likely to complete an action if there’s an illusion of progress. In both situations, people had to buy eight coffees to claim a free coffee. However, the one that had two spots already stamped increased the likelihood of people becoming loyal to that coffee shop and buying more coffee. When applied to multi-step forms, if you start your form with a progress bar that subtly implies that they’re already made some progress, you will increase your completion rate. This is why all multi-step forms built in Leadformly start with the progress bar already showing that progress has been made. I’ve found that it works best when you ask one or two questions per step. This way the form appears less overwhelming and feels faster to progress through. The caveat, however, is that this is true if your form contains 2-10 questions. If you’re asking more than 10 questions, you may want to group more questions per step to prevent having a form that appears to have an endless number of steps. Conditional logic enables you to only display a question if a previous question was answered in a certain way. For example, in the form below the question ‘what are you looking for in a broker?’ is only displayed if someone answers ‘experienced’ or ‘expert’ to a previous question asking how experienced they are at trading. This is because a beginner trader might be confused by this question, causing them to abandon the form. The great thing about multi-step forms is that you can make them feel very conversational by personalising the steps based on their previous answers. For example, in the form below you can see that the question on step 2 asks “Which company are you the CEO of?”. The form ‘knows’ that they’re the CEO as they previously answered that they’re the CEO in a previous question. If you want to get really hyper-targeted, you can even make the thank you pages personalised based on how people answered questions in your form. 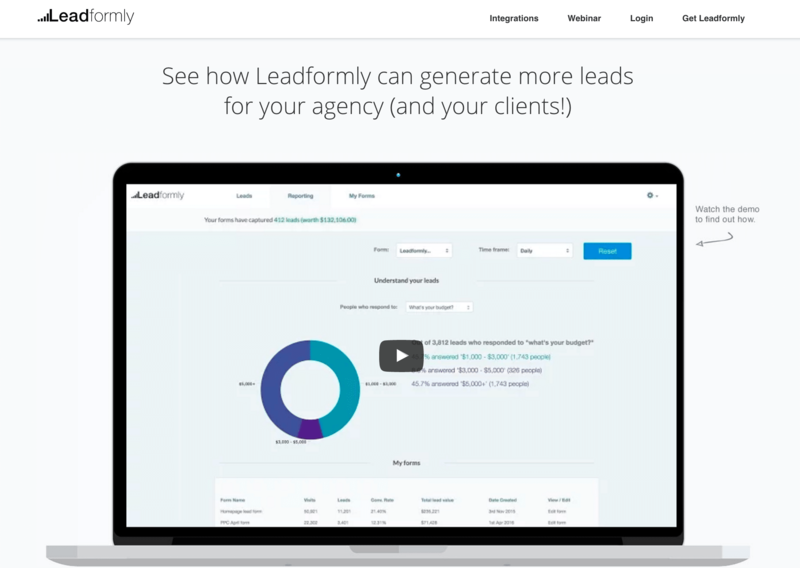 Leadformly does this with the form on its homepage. If you answer that you’re an agency, for example, it takes you to a page with a video talking about how agencies use Leadformly, FAQs aimed at agencies etc. Similarly, if you say you’re a startup, or enterprise, you’re also taken to a hyper-targeted page. When creating a multi-step forms, progress bars are absolutely essential. Without them, there is no indication as to how much time or effort users have to invest to complete your form. 1. Where are you right now. 2. How long until you’re done. When it comes to increasing form conversion rates, the most effective yet least talked about tactic is improving the ‘outcome’. To illustrate the point, imagine that you built an awful form with 50 questions. Perhaps 0.5% of your visitors would fill it out. Now imagine you offered everyone that used it a free Ferrari. The conversion rate would shoot up to 100% – despite nothing in the form itself changing. This illustrates how important the outcome of using your form is. As a general rule, I’ve found that the highest form conversion rates come from offering a tangible instant outcome. Crazyegg (a heatmap tool) offer their visitors a personalised heatmap instantly. ComparetheMarket offer their visitors an instant quote. BrokerNotes gives its visitors an instant recommendation. When giving instant value doesn’t make sense, offer your leads something tangible in return for submitting your lead form like a proposal, a 30-minute consultation call, or a free information pack. I’m regularly asked which questions should be included on a form. The simple answer is that you shouldn’t ask anything your potential leads won’t want to give you. Asking for phone numbers is common practice, but is one of the most significant causes of form abandonment. Most people don’t want sales people distracting them by calling them up. There are exceptions, of course. The questions in your form should at minimum be questions your leads are happy to answer. Ideally they should actually benefit them. For example, I know that entering my travel dates into a travel site’s form will benefit me by helping me get accurate availability and pricing information. I wouldn’t, however, be happy giving a phone number at this stage. If you want to learn more about how you can use multi-step forms to capture more leads, check out this free webinar I’m hosting where I go into them in much more detail. Alternatively, If you want to get stuck into build one you can use a tool like Leadformly to do so, which enables you to build multi-step forms in a drag and drop editor (instead of having to get a developer to build one manually).